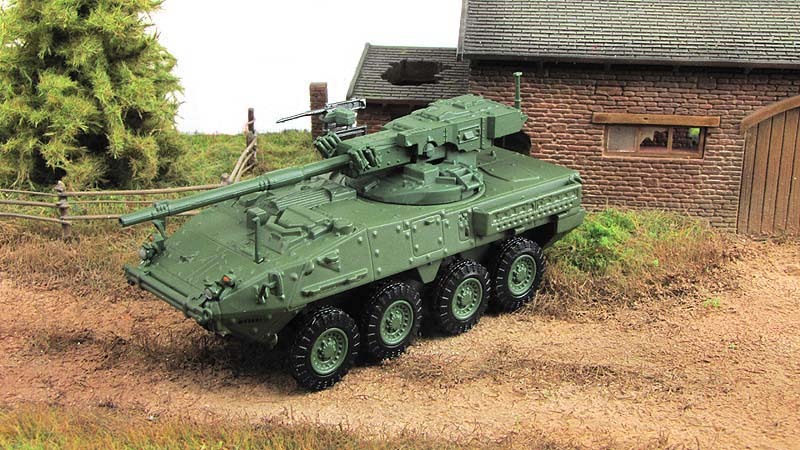 The IAV Stryker is a family of eight-wheeled, armored fighting vehicles derived from the Canadian LAV III and based on the Swiss Piranha III 8x8. 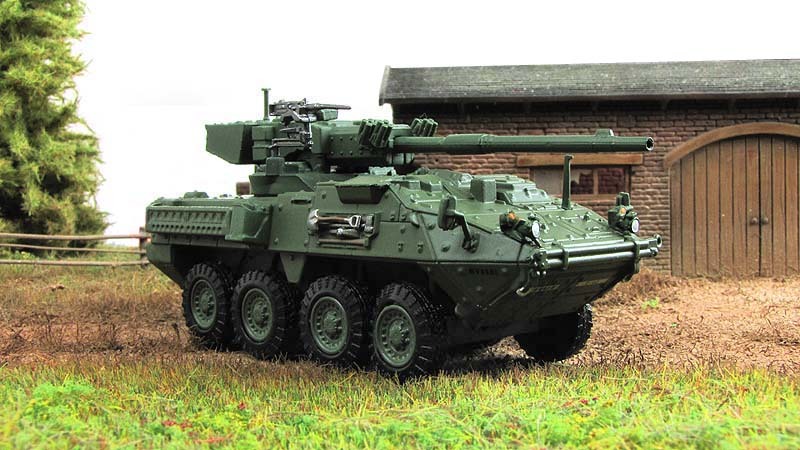 Stryker vehicles are produced by General Dynamics Land Systems for the United States Army. 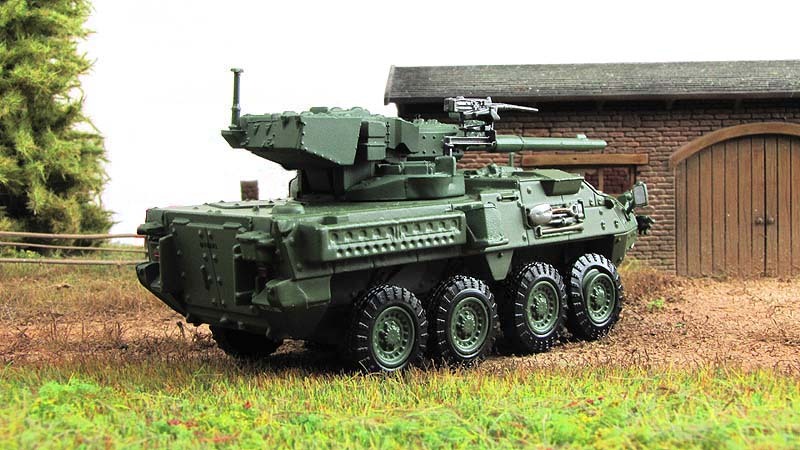 It has 4-wheel drive (8x4) and can be switched to all-wheel drive (8x8). The vehicle is named for two American servicemen who posthumously received the Medal of Honor: Private First Class Stuart S. Stryker, who died in World War II and Specialist Four Robert F. Stryker, who died in the Vietnam War. M1128 Mobile Gun System (MGS): Version armed with an 105 mm M68A1 rifled cannon (M68A1E4) (a lightweight version of the gun system used on the original M1 Abrams main battle tanks and the M60 Patton main battle tank), an M2 0.50 caliber commander's machine gun and two M6 smoke grenade launchers. The M68A1E4 also features a muzzle brake to assist with recoil and an autoloader, a rare feature on US tank guns. 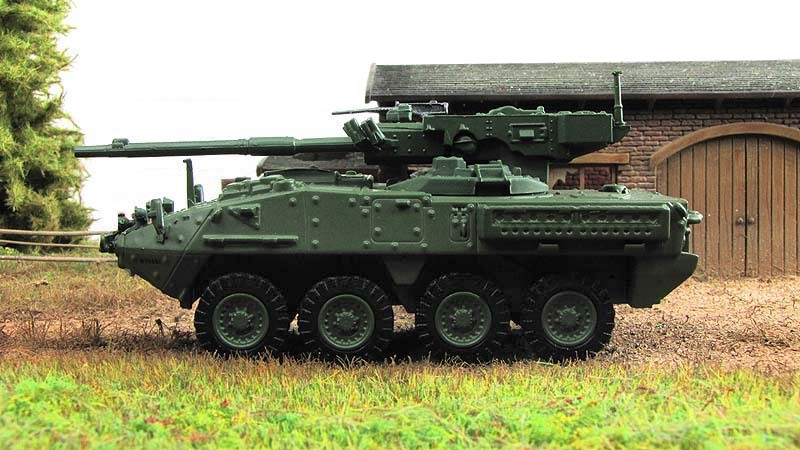 The main gun provides direct fire in support of infantry, engaging stationary and mobile enemy targets, such as bunkers to create a combined arms effect of overmatched firepower that improves survivability of the combat team. 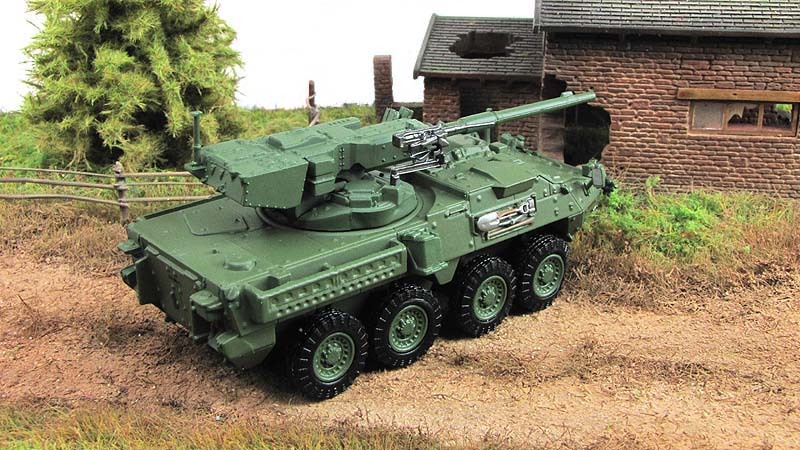 The MGS can fire one of its 18 ready 105 mm shells every 6 seconds, and carries 400 rounds of 0.50 caliber and 3,400 rounds of 7.62 mm, and the same C4ISR communications and driver's vision as the ICV. 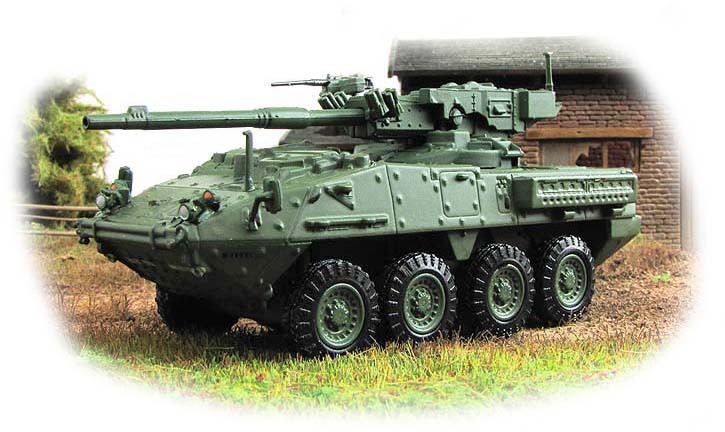 The MGS vehicle is a strengthened variant of the LAV III compared to the standard variant other Stryker vehicles are based on, but retains commonality across all vehicles in the family.